Careful value (light vs. dark) placement creates a lovely graded effect in this easy-to-piece queen size quilt. 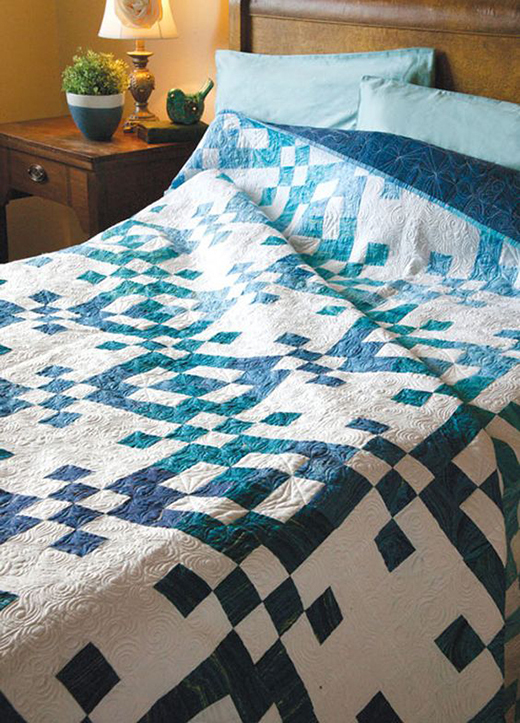 Edinburgh Square is a quick quilt pattern featuring time-saving strip piecing. The pattern includes step by step photos demonstrating layering and cutting of strip-pieced segments for extra speed!